One of the most iconic yoga postures, Downward-Facing Dog or Adho Mukha Svanasana counts among the resting inversions. It is highly beneficial for building upper body strength as well as improved flexibility. This down facing dog yoga features prominently in the famous Hatha-Ashtanga yoga sequence of Surya Namaskara. 1. Come down with your hand and knees on the mat and your back in a tabletop. Locate your knees in a straight line directly in alignment below with your hips. Set your hands frontward, slightly away from your shoulders. Remember to keep your palms spread and the fingers slightly away from each other. As for the toes, tuck them comfortably a bit under. Take the first deep breath in. 2. Exhale, puff out.Press heavily down, spreading your palms shoulder-width apart as you start lifting your hips. Move your chest towards the thighs and stretch out the tailbone, feeling your spine firmly elongated. At the same time, feel your inner legs being pushed up into your groin. 3. Slowly set your feet hip-width apart and toes moved to the front. Feel your heels pressing strongly down into the floor. This will give the back of your legs a delicious stretch. As long as your back is flat, a minuscule bend in the knees is okay. 4. Sourcing strength from the base of your index fingers pressed down against the floor, lift your inner arms towards your shoulders. Make your shoulders dense against your back, broaden them apart and then converge them. Part of learning the downward facing dog yoga position correctly is also about mastering how not to let your neck droop. To ensure this, set your gaze firmly at the belly-button. 5. Hold that breath for 4-8 times. Feel them go to the depths of your abdomen. 6. The last of adho mukha svanasana steps is to release. Bend the knees fully and slowly bring your hips down in the table-top position. Alternatively, assume the Child’s Pose. Deepen the pose further, taking it up from the point of downward-facing bend. Lift one leg off the ground and extend it outwards from the hip to the back. Square up and contract the hips, take five well-punctuated breaths before switching to the other leg. The three-stumped variety of the downfacing dog is greatly effective for deepening the stretch in the thighs and hamstrings, as well as, to firm the glutes. This downward facing dog variation is going to be an extension of the above described three-legged down dog. Bend the knee as you have extended one leg. Then, pull your heel towards the buttocks. Draw your navel inwards, into your spine and bolster your shoulders, squaring them up, aligned to the outline of your mat. Shifting into the revolving version of yoga downfacing dog can be done by moving the entire body weight into the left hands and legs, at the point of bending into the standard Down Dog. Reach out your right hand to touch the outer area of your left thigh. Slip the hand to your legs and spin your chest around facing the sky. It’s okay if you can reach your hand only till your calves, or ankle. This asymmetrically aligned downward facing dog variation rocks for giving your spine a deliciously unwinding twist and building more power into the arms! Helps Digestion By Getting Things Moving: As a superb inversion that sets the heart above the head, blood flow along with digestive movement find great boost in this posture, stimulating the various organ systems. A quick, deep bending into this posture is a top recommendation for whenever you feel bloated, backed up, or irritatingly stuffy in the stomach. Because it is an awesome inversion and it effectively gets things moving inside the body, you rely on the Downward Facing Dog exercise to bring light into your thought process in times of confusion, as it is a psychological manifestation of sinuses clearing up. Accompany the Downward Facing Pose with copious pranayamic breath intensification to enjoy this result at its maximum. Downward Dog is also a weight-bearing exercise. You can effectively pump in a lot of strength and vitality into your upper body, and increase bone density by performing the Adho Mukha svanasana regularly. It’s evident how doing the Downward Dog engages the shoulder rotator cuff, puts a challenging load on the shoulders and makes you arch your arms overhead—an action that we don’t get to partake much. The Down Dog can save humanity from the obvious syndromes of relentless, sedentary desk jobs. Compensating pretty much for all the stagnant time we spend hunching over the devices and desks, it can effectively open up shoulders and back of the chest wall. As a result, an upright and firm posture is naturally regained. Carpal Tunnel Syndrome, Diarrhea, High Blood Pressure accompanied with a headache, or in the late term of pregnancy. 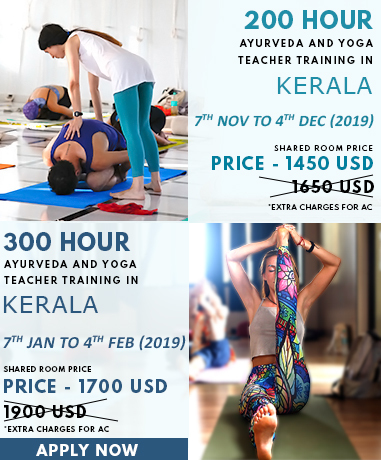 To Know more about Downward Facing Dog, join yoga teacher training in India.